Russian media report the death, aged 90, of Mark Taimanov, one of the foremost chess competitors of the Soviet era and a widely respected pianist whose personal friends included Shostakovich and Richter. 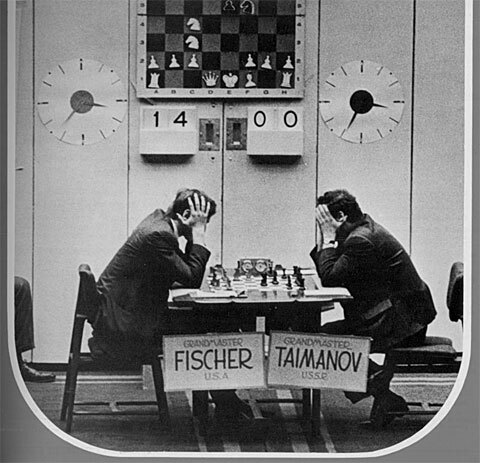 Taimanov may be best remembered for losing 6-0 to Bobby Fischer in 1971, a drubbing that he immortalised in a best-selling book. He had previously beaten six world champions, including Botvinnik, Spassky and Karpov. Taimanov formed a piano duo with his first wife, Lyubov Bruk, touring and recorded widely. 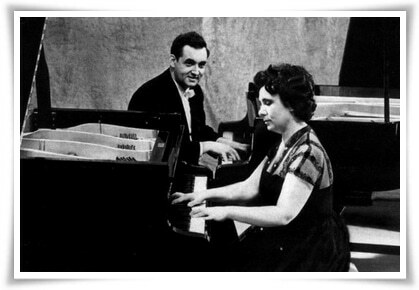 The pair were included in the Philips series Great Pianists of the 20th Century. As a boy, Taimanov played a violinist in the Soviet film, Beethoven Concerto. to another women in 70th and only was full time grossmeister. of Russia. Number one violinist. In August 2016 I painted a painting of Mark Taiminov as I was so in awe of his genius, it is called ‘The Chess Master’s Violin’. I wanted to contact Mark to tell him I was inspired by him, sadly when I got around to it, I found out he died in November 2016 only a few months after I completed my painting. It incorporates his life an a violinist, Chess Master and Concert Pianist with his wife.